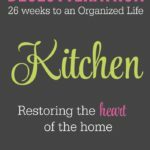 New Decluttering Challenge, Soul Decluttering! If you’re a newsletter subscriber this should sound familiar, but if not, surprise!! 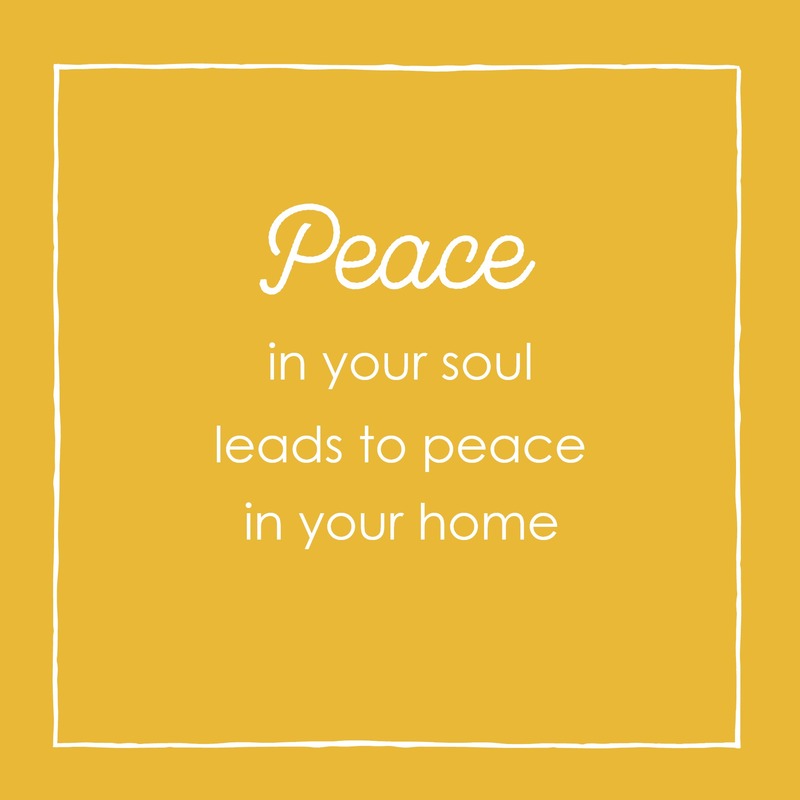 Welcome to the first day of our new challenge, Soul Decluttering! Before we get started, I wanted to share a little about what you can expect from this challenge. Below is one of my favorite pictures of my kiddos, and I realized that it’s also a great representation of our brand new decluttering challenge. Walking a long road isn’t always easy. 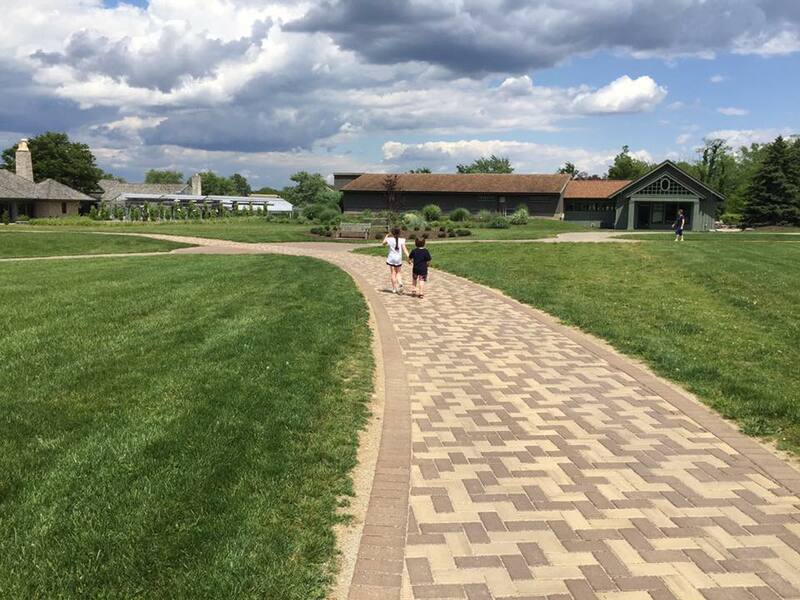 There can be unexpected twists and turns, daunting skies, and we can’t always anticipate who or what’s going to cross our paths, but walking with someone, hand in hand, makes it all a little easier to bear. I want to be that hand for you this week. 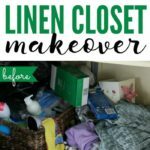 I want you to know that you are not alone with your clutter issues, and we can work through these things together. You’ve probably realized by now that I’m not your typical organizing blogger. I’m not a professional organizer, and I don’t pretend to have all the answers. 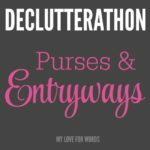 I am very honest about being in the trenches of clutter and in the process of my own decluttering journey. In some ways, I feel this puts me at a disadvantage (I don’t have an endless supply of beautiful organizing photos to share), but I do know how difficult it can be to struggle with clutter. I know the shame and embarrassment that comes with an unexpected knock at the door. I know the horrible things I say to myself about my housekeeping skills, and I know what it’s like to feel completely overwhelmed by my own home. The good news is I also know there’s a way out. We can create the lives and homes we want to have, and it begins with a simple decision… to start. I hope you’ll join me on this Soul Decluttering journey over the next week and allow me to walk this path with you. I know great things are ahead of us; all we have to do is get started. 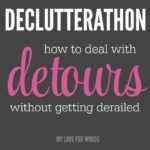 I’ll be sharing Soul Decluttering posts every day at noon EST via email, as well as on Instagram and Facebook so you can follow along in whichever way you’d prefer. 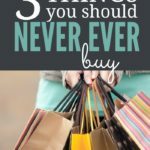 I believe that long-lasting decluttering doesn’t start in our homes. It starts in our heads and hearts. In order to make real progress, we have to figure out why we have clutter in the first place. Only then can we take care of it once and for all. Over the next week, we’re going to focus on that inside work so we can set ourselves on the path of progress, and what better way to start than with an exercise! Grab a pen and piece of paper, and let’s think about what our dream lives would look like. Be as descriptive and detailed as possible. Despite our differences, I bet we have at least one thing in common: none of us were daydreaming about clutter! We’d choose to spend our lives doing the things we love and spending time with the people we care about. What we sometimes forget is that we have the power to choose these things every single day. Every decision we make either takes us closer or farther away from our ideal lives, and if you aren’t happy with where you currently are that’s okay because we can make better choices! Next, I want us to think about the things we allow ourselves to say about our homes and who we think we are. What negative messages do we repeat about and to ourselves that need to be eliminated? Repeat these positive phrases as often as possible, and soon they’ll completely replace the negative messages you’re used to hearing. If your thoughts are firmly established, I know this may sound too good to be true, but I promise it’s not. Our thoughts are extremely powerful, but we ultimately control what we focus on and what we allow to continually go through our minds. The more we focus on good things, the better our lives will be. It really is that simple because a great life is usually a product of perspective, not circumstances. Please take your time with these exercises. There’s no rush to complete them, and the more thorough you can be in your reflections, the better results you’ll have. Now for the fun part… I’d love to know what your ideal life would look like, and (if you’re willing) what messages you’re sick of hearing and what you’ll be replacing them with. Sharing is not necessary so if you’re uncomfortable commenting on this post, you’re welcome to email me at emily@happyorganizedlife.com or simply not responding at all. That’s perfectly okay! Just know that if you’d like to respond, I’d really love to hear from you. And that’s the end of day 1. I hope this post has given you a lot to think about, and you’re feeling hopeful because lot’s of great things are coming soon. I promise. Sorting– ( I love to sort/ “Like with Like”) THEN make choices as to what is LEAST fun/TIME ABLE to do… Gift to others. Have my list of need & want& dreams/plans for each and every room and outside ..
FAMILY HISTORY ROOM/LIBRARY ROOM: files, computer, old photos /books on the walls/shelves.